Often, Beauty and the Beast examines the concept of true nature. For a long time the story was about the struggle between Vincent the beast and Vincent the man, with Cat serving as the catalyst to merge the two. Vincent can now (mostly) beast in and out at will, but that was not always the case, and if the truth about him were to come out now, what would people see as his true nature? Would they be able to see the hero behind those glowing eyes? This week’s throw back to season one episode deftly provided parallels between the case of the week and our friends’ continuing clash between their outward and their hidden lives. Vincent is anxious about the bounty on his head and the unknown person behind it. One thing I love about this show, is how Cat and Vincent are absolutely each others equals. Sure, Vincent comes to Cat’s rescue, but never is she a damsel in distress, a trope serving only to showcase the heroism of our male main character. 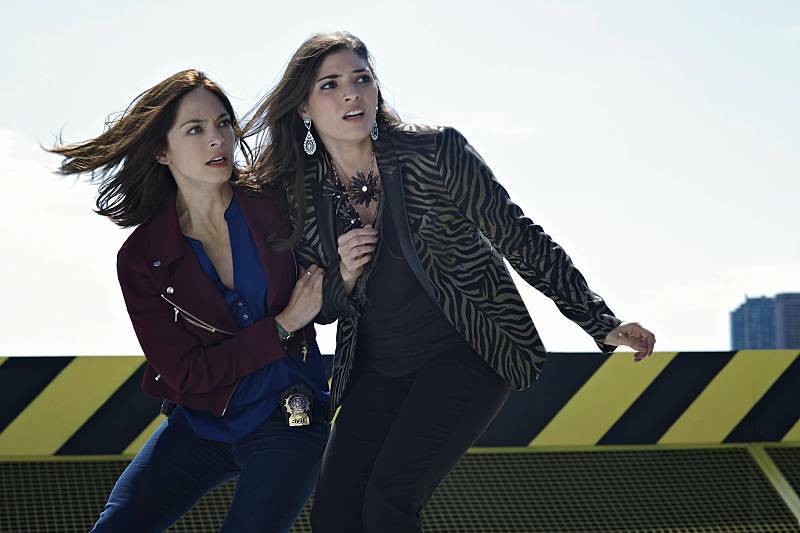 Cat is a capable, badass cop all on her own and she has saved Vincent, and countless others, more than once. It is therefor no surprise that she suggests that she take this one. Vincent is risking exposure with his nervous spontaneous beast ticks and Cat urges that he lay low until the team finds clues as to the identity of the person hunting Vincent. JT is working on just that, when he should really be focusing on moving in with Tess and his career at the university. As he searches through the DHS files of major criminals who may want a beast on their side, suddenly the database gets hacked. JT traces the hack to a hotel owned by the wealthy Durbrige family, but when Tess and Cat go to investigate they are met with a fiery explosion instead. 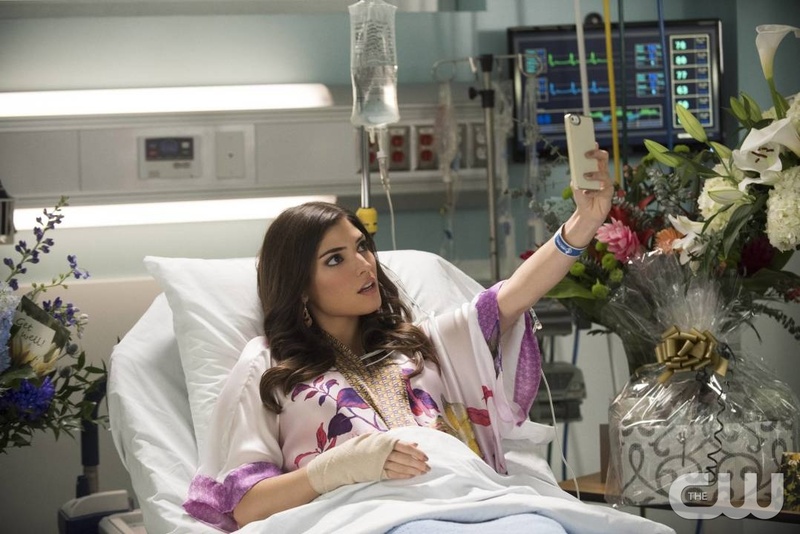 It seems that the attack was meant as a warning for the Durbrige daughter, socialite and social media queen Bootsy (Amanda Setton), a Kardashian type, who is all outward flash and shallow bling. When she is almost taken from the hospital however and Vincent takes her home with him for safe keeping, a hidden truth behind the vapid facade emerges. Turns out that Bootsy has been working secretly with the FBI, providing funds and safe spaces at her family’s hotels for informants and witnesses on major cases. Somehow a nasty criminal named Dominic (Brett Ryan) has gotten wind of her involvement and is now threatening her and her family to find out the whereabouts of the people ready to testify against him. Bootsy is racked with guilt over having put her family in harms way and is even considering giving up, in order to save them. Vincent can, of course, relate. He feels increasingly guilty to have dragged his friends and loved ones into his beast troubles once again, even though the whole situation, including his beast nature, was forced upon him. Bootsy couldn’t help being born into a wealthy prominent family and consequently having the paparazzi follow her around wherever she goes. Her decision to help the FBI was exactly because she wanted to use what was forced on her, for good. Sound familiar? Vincent tries to track Dominic and his henchman with his beastie senses, because he decides he can no longer sit idly by. Dominic may not know it yet, but along with the witness files, he also downloaded all of Vincent’s secrets and those simply can not be exposed. Meanwhile JT gets socialite sitting duties, but when Bootsy gets a notification that her sister is posting on her social media about visiting a local club, she knocks JT out and runs to warn her sister about Dominic and his plans. Tess and Cat manage to capture one of the henchman by having Tess pose as Bootsy, but when they learn what happened, they run to the nightclub. The team is too late and Bootsy is taken. As they rush to the Durbrige hotel where some of the witnesses are likely hidden, Vincent and Cat finally figure out what we have known all along and hoped they had learned by now; Vincent and Catherine always do better together. Not once has it worked out to have one sit on the sidelines, or to have our love bird heroes separated. I sure hope the lesson sticks this time. This is the final season people, get it right already! Vincent pulls a beastly version of Captain America and holds down Dominic’s helicopter to prevent it from flying off with Bootsy on board. Even though the bad guys are caught and everyone is safe, the truth is now out and Bootsy is exposed. The press swarms the building and soon the whole world knows about the socialite’s secret life. She is now also a potential target for other criminals for whose cases she has hidden informants and she now faces a life of hiding. Vincent and Cat fear just this outcome for themselves and since the DHS is no longer willing to actively protect them, they have to rely on their team mates. Luckily they can not only count on each other, but JT is newly committed to the cause, even turning down tenure to stay the course and Heather now agrees it’s wise to keep new fling Kyle at arms length so as not to add risk of exposure. But how long can anyone keep up such secrets? Tess knows that they are are part of a larger destiny, but did they sign up for the rest of their lives? It seems that our heroes are figuring out their place in all this. JT is finding a new path, alongside Tess, who herself is rediscovering her love of field work (please do take some karate lessons though, JT). Heather is trying to find balance in her own life and the pair at the center of it all, Vincent and Cat, will keep taking turns saving each other; always better together. What did you think, Beasties? Did you enjoy this episode? What was your favorite scene? 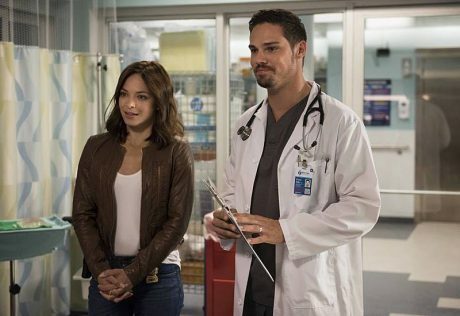 Was it the wonderful VinCat bickering at the hospital, as they each tried to take the lead interrogating Bootsy? Or the one where Heather and Tess talked more to themselves than each other, yet each walked away thinking they had had a “good talk”? Or was it Tess’ hilariously grumpy photo shoot? 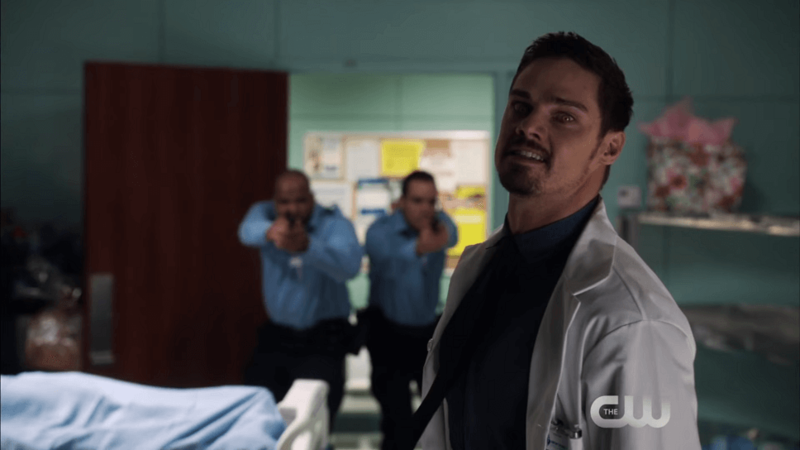 Shoot me a comment and we will meet again on Twitter this Thursday night for episode three of the final season of Beauty and the Beast.